Our Daisy Belle Waist Apron is not only Modern and Stylish it is practical and easy to use. 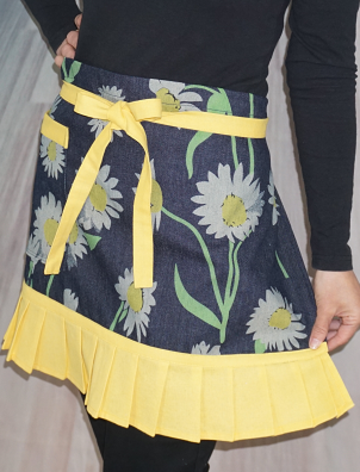 Features : - Daisy print on Denim with Yellow cotton frill , trims and ties. Tie the waist straps at the back or front. Large pocket.